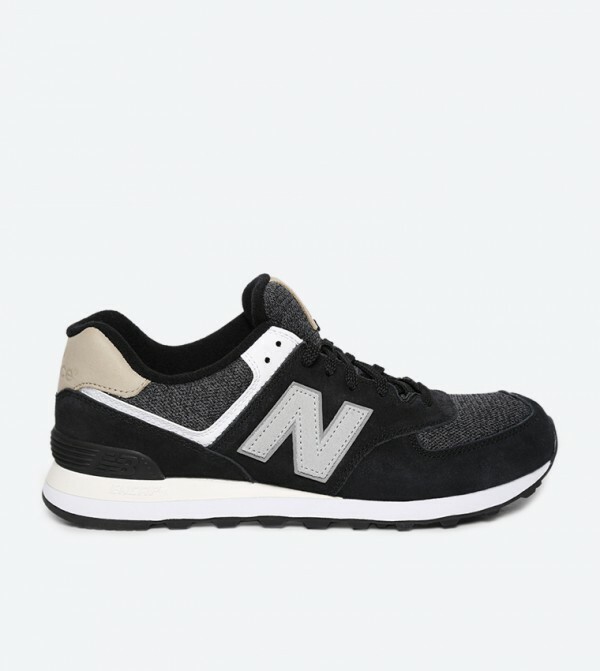 New Balance presents these black sneakers that will instantly appeal to all urbane men. The leather upper and mesh lining make these lace-ups high on quality and durability, while rubber outsole will provide a firm grip. Flaunt these sneakers with a T-shirt and jeans for a cool casual look.